As harmless as they might seem, there is much controversy surrounding the issue of vitamin supplements. However, taking daily multi-vitamins is both safe and effective and is also much safer than developing symptoms of a vitamin or mineral deficiency. With the stresses and strains of today's hectic lifestyle, it is difficult for people of all ages to get their daily nutritional requirements solely from food. With more time than ever spent at work than at home, people tend to eat out more often. While this may be convenient, the truth is that most people are no longer in control of what they eat. Restaurant food offers portion sizes that are often double and even triple what they should be and preparation methods generally involve the use of saturated fats and other artery clogging oils. But eating out is not the only problem. Stress wreaks havoc on the body, and often works to diminish whatever nutritional value people are getting from their food. It is difficult to escape stress, and eating on the run, and at odd times during the day does not help. What is even worse is the fact that skipping meals has become a normal way of life for so many. Consuming food that is nutritionally devoid, stress, insufficient exercise, and generally poor eating habits spell disaster when it comes to eating a healthy balanced diet. 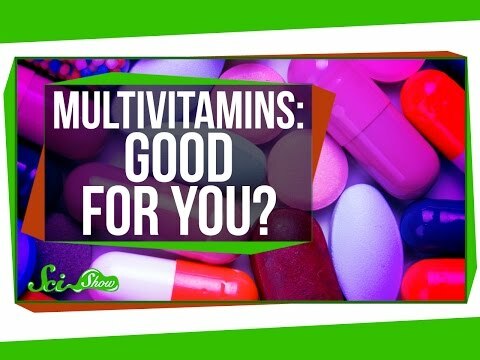 Yet these are the very reasons why so many people are choosing multi-vitamins to supplement their diets. If the above scenario sounds like the way you live your life, there is a good chance you will benefit from taking daily multivitamin supplements. It is usually not necessary to first consult with a doctor. If your health overall is good, and you are not taking any medication, a multivitamin and mineral supplement that meets the recommended daily allowances will be sufficient. The B-vitamins and Vitamin C are water soluble so over supplementation is not an issue. This is because water soluble vitamins are not stored in the body. The body processes what it needs at any one time and eliminates any excess vitamins through the urine. Fat soluble vitamins such as Vitamin A and D, are different in that the body will store excess amounts. But still, even at levels that are slightly higher than the recommended daily allowance, there should not be any adverse effects. Excessive consumption however is not advisable and may even trigger health complications. As with most things in life, moderation is the key when taking multi-vitamins. Bear in mind that a lot of foods are now being fortified with vitamins and minerals, especially cereals and various juices such as Orange. If you are ever in any doubt as to the amount of vitamin supplements you should give your body, the best advice is to discuss this topic with either your doctor or an experienced nutritionist. Once you have decided that a multivitamin supplement makes sense, the only thing left to do is go out and buy some. Multi-vitamins are available in tablet or pill form and liquid form. With so many brands available, you may want to take time to read the labels or look for a familiar manufacturer. Select the form you are more likely to take on a regular basis and you will be one step closer to having a healthy body!